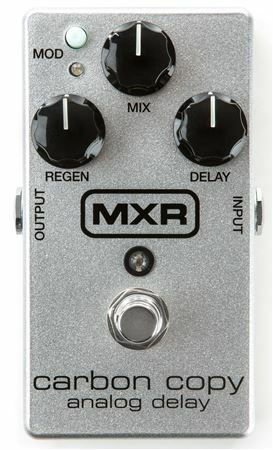 Order your MXR M169A Carbon Copy 10th Anniversary Pedal from AMS and enjoy 0% Interest Payment Plans, Free Shipping, Free Extended Warranty & 45 Day Money Back Guarantee. 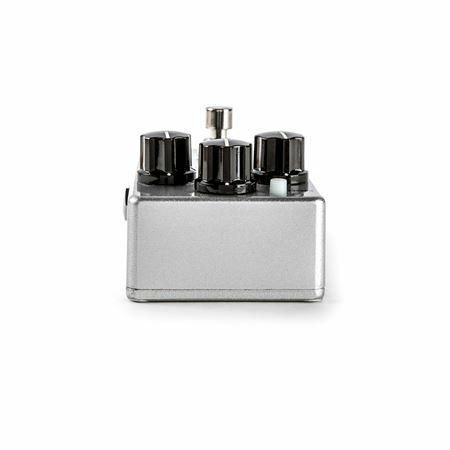 The Carbon Copy Analog Delay will take you from crisp bathroom slap echoes to epic, voluminous soundscapes with minimal adjustment required. 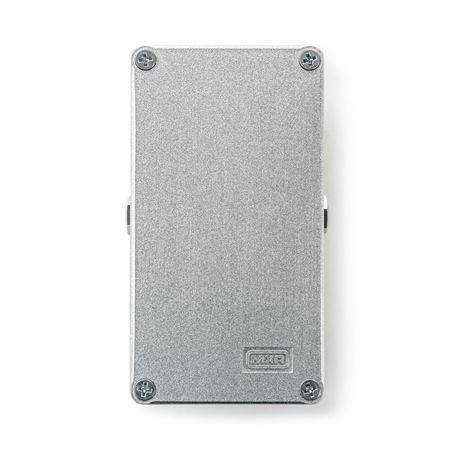 MXR is celebrating the 10th Anniversary of the Carbon Copy Analog Delay with this special edition featuring a lightweight aluminum housing with a metallic silver finish. And of course, it’s got all the same Carbon Copy goodness that made it famous. Use the Delay and Regen controls to dial in the time between repeats—up to 600ms—and how many repeats you want, and then use the Mix control to set the wet to dry signal ratio. 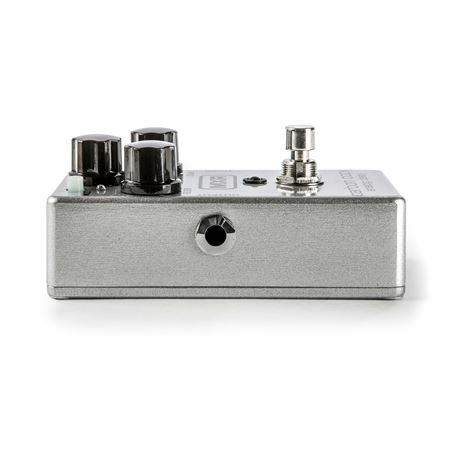 Add in some modulation with the Mod switch to add wow and flutter a la vintage tape echo units or to simply give your repeats extra richness and depth. 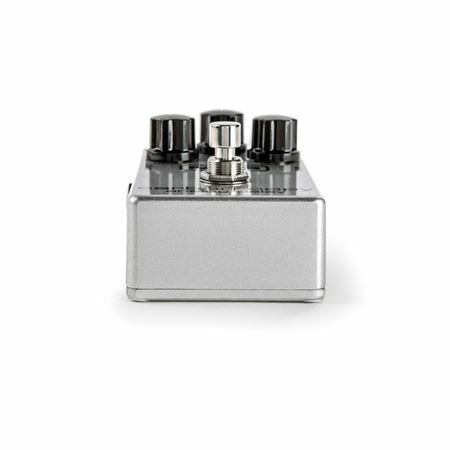 Inside the pedal, you’ll find two Width and Rate trimpots so that you can dial in the modulation to your taste. 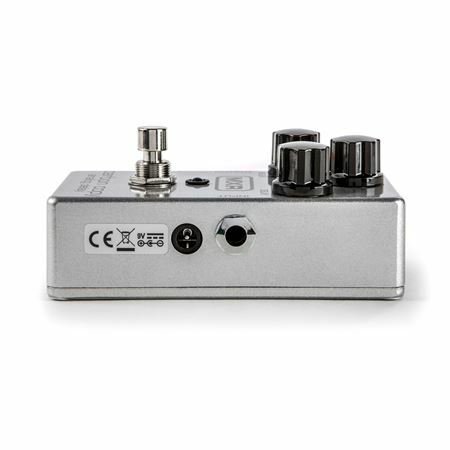 Run a cable from your guitar to the Carbon Copy’s INPUT jack and another cable from the Carbon Copy’s OUTPUT jack to your amplifier. Start with all controls at 12 o’clock. Rotate the REGEN knob clockwise to increase the number of repeats or counterclockwise to decrease it.